Is Your Pomona Dentist Properly Equipped for an Emergency? Home/Is Your Pomona Dentist Properly Equipped for an Emergency? It is encouraged that everyone has a Pomona dentist they can turn to and trust to maintain the health and beauty of their smiles. Everyone is reminded that routine checks and dental cleanings be scheduled twice a year or every six months, so keeping a good dentist in your phonebooks is important—not only for routine work, but also for special emergencies. Sometimes accidents will happen and it will be important that you have a Pomona dentist who can help you—not just a normal one, a Pomona emergency dental specialist, who is equipped to take care of everything. 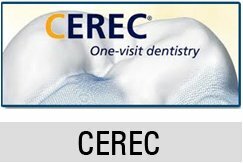 Is your Pomona dentist an emergency dentist? How can you tell if the emergency dental Pomana clinic you are visiting is an official emergency facility? The dentist and the staff are ready and on-call for all kinds of emergencies. Most dentists have a definite schedule they follow and you cannot always bother them after hours, but a dentist in a Pomona emergency dental office will be readily available or he will be on-call, if not present in the office. The dentist and his staff are equipped to attend to all kinds of emergencies. He may be a general practitioner in title, but he is trained and skilled to attend to emergency situations that require immediate attention. 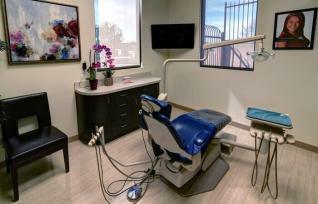 The dental office is equipped to receive emergency cases. This is important because some cases will need sophisticated instruments and equipment, in order to be addressed, so not only should the team be prepared, but the office should also be prepared. Has your dentist received emergency training to better equip him for this type of need? While not all emergency dentists will have credits for this, it will surely be a good feature for an emergency dental Pomona clinic to have a dentist with this criterion. All kinds of dental emergencies can strike and some of these dental emergencies will put you in danger. For this reason, you cannot simply ignore this, and even make an effort to see a specialist to attend to your needs. An emergency dentist is more than equipped to meet your emergencies.